A lot of resources I share here aim to benefit other authors… even though my mind is always on romancing new readers which are often found in libraries. It’s hard to find a post that can offer something to all three. Then I discovered BiblioBoard. BiblioBoard is a way to bring communities of readers and authors together through their local library system. Authors submit their books, and if approved, the ebook will be offered through their local library system. Authors find readers. Readers find free reads. Libraries find another meaningful way to interact with both. Win, win and also win. Now patrons of my library system, Mid-Continent, can read Bitter Suites, rate, comment and even purchase it through Amazon. It’s been added to Indie Missouri collections so readers from my home state can read it. There are all sorts of ways to interact with new readers I am just now discovering. You can check out the Bitter Suites listing for yourself here. How to hook up with BiblioBoard. Visit their website at biblioboard.com to read about all they offer. Upload your finished ebook to Self-e here. Wait for Self-e to approve your book. Simple. Need help getting that finished ebook? Try the free Pressbooks service here. I haven’t used Pressbooks myself yet, but I will with my next poetry book Altars and Oubliettes coming in April. I like the idea that it’s free and available to all, looks easy and it provides both print and all ebook formats. I’ll continue to share my experiences with BiblioBoard, and soon PressBooks. Both are free to readers and writers—a stellar way to promote literacy. Publishing power to the people! I may have vanished from the face of the planet this week, but please be assured I am not dead. I have been busy behind the scenes playing the editorial equivalent of whack-a-mole with Space and Time. As soon as we smack one typo down, three more pop up. It’s been a whirlwind of activity over here—but in the end we have a finished copy of issue #133 ready to go out to subscribers. It’s beautiful. 4 color black is the scourge of the earth. A fat PDF makes unhappy uploads. Bleed! There needs to be more bleed! Terrible Tim has a titillating tush. Visit SpaceandTimeMagazine.com for more info on all that. *Yes, I borrowed this from PBS. Too much editorial whack-a-mole for anything more clever. Space and Time magazine has left the building! It’s been a long week of layout and proofreading for the magazine, but yesterday it passed the preflight gauntlet and went to the printer. I can’t wait to go pick it up. At the moment, I’m so tired I can barely keep my eyes open. Mr. Smith and I went out for a St. Patty’s Day beer and one stout just about knocked me out. Since my words have become gelatinous goo in my brain… or my brain has become gelatinous goo with no words… I’ll just leave you with some interesting links that popped up this past week. First off, DreamForge magazine posted an interview on me right in the middle of the magazine mayhem, so I’ve barely had a chance to share. Thank you DF for the great interview! The headline was the best I’ve seen. “Angela Yuriko Smith Takes on All of Space and Time...” My inner dictator says “Muhahahahaha!” Go read the interview here. 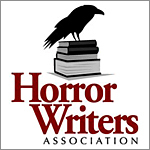 As if that weren’t enough to make my head swell, I have a fancy page up on the Horror Writers Association site for being a 2018 Bram Stoker Awards® Finalist. It’s my first nomination as you can tell from all the white space. You can find that here. I can’t think of anything else that’s exciting except that the magazine has gone to print. That’s all I can think of—besides sleep. I was recently asked in an interview why I publish. I was thrown. It seemed like too big a question for a simple answer. What is joy? Why do we live? Is there a God? Why publish? I answered a partial truth. Short answer: I fell in love with the idea of publishing back in my one month of high school when I first held an “underground zine” in my hands. Titled A Wrench in the Monkeyworks, it was rude and revolutionary. It broke rules. It was crowded and chaotic. I loved it and realized then all I needed was a few dimes for the copier and I could do this. The seed lodged deep in my mind where it took root. That’s the short answer. Years later I worked for a challenging weekly newspaper and I was quizzing the publisher’s wife on how they started their paper. It was a Christmas party and I was warm with wine and fan-girl enthusiasm. Publishing is the difference between playing a violin or being in an orchestra. One instrument—one writer alone—is beautiful and can accomplish great things. But in an ensemble their voices combine. Ego, differences, personal belief… all of it merges to become one, grand instrument that can change a world. Publishing a magazine is like conducting a band. Balancing font (serif or non-serif! ), style, image and text with white space and color create a unified voice from many. The publisher sets the direction, but it’s the army of graphic artists, layout, advertisers, editors, editors, editors, artists, office managers, writers, photographers, marketers and distribution teams that makes the behemoth move. Yes, I know that magazines are not known for generating riches (but you can help with that by subscribing!). Publishing is about opening a forum to allow many voices to find air, and then immortality, in ink. The expanse of blank paper is center stage for a production that can be carried in a pocket and shared with a neighbor. With a little paper, a little print and a dedicated team a mountain can rise from the shadows with a new world view. Why publish? Busy, busy finishing up the next issue of Space and Time for proofreading. This will be a special issue to celebrate National Poetry Month in April. This issue is stuffed full of fiction as well—I am so happy with the stories that were submitted. We have surprises ahead… to be revealed soon. For now, enjoy the magnificent cover art by Karl Kofoed—a colossal being rests in the warmth of a dying sun, contemplating infinity. At least that’s the story I see. How about you? What story does this inspire in you? This issue will be available March 20. You can subscribe for a print or digital subscription at SpaceandTimeMagazine.com. The digital subscription includes four issues a year on any device with bonus content from $2.50 an issue, or $9.99 a year. The print subscription arrives in your mailbox from $4.75 an issue, or $19.99 a year. I’m privileged to have an interview with director and producer Jamal J. Hodge, known for Mourning Meal (2019), A Happy Divorce (2018) and Primal Instinct (2018). His most recent project, Mourning Meal, is inspired by a poem from Linda D. Addison, a four-time recipient of the HWA Bram Stoker Award® and the 2018 HWA Lifetime Achievement Award. Together they make a formidable team, weaving powerful words with keen visuals to create something lovely, dark and true. AYS—Can you tell me a little about yourself as a film maker? Jamal J. Hodge—I’m a multi-award winning filmmaker and writer. “Since May of 2016 Jamal Hodge’s films have been an official selection in over 65 Film Festivals, and have won 19 awards. In 2018 he also directed the first season of Investigation Discovery Channel’s ‘Primal instinct’. AYS—What I have seen of Mourning Meal so far is chilling and yet beautiful. Can you tell us about this original horror film without giving away any spoilers? So much of our identity is based around what hurt us in the past or what might hurt us in the future, that fear of pain and our retreat into comfort and pleasures has its own risk, but the risk of embracing the pain too much, or rather, becoming the pain itself… can be far worse. Mourning Meal is a psychological exploration of a deteriorating mind. AYS—How did you meet Linda Addison and decide to make a film based on her poem? Linda’s genius is her ability to conjure a full human experience in a verse, or weave a new illuminating perspective into a situation where there normally would only be revulsion or terror. I strive to do the same in my own art, to use darkness to show light. So to me it just made sense to align with someone so robustly human, with a heart in the light and a mind in the darkness! I’ve been telling her for years I was going to write something based off one of her poems, since reading her work inspires my own dark imaginings. It was a no-brainer turning Mourning Meal into a film. It was a must. AYS—The Mourning Meal screenplay has already received awards and accolades. Can you tell me about some of the recognition this film has received? Jamal J. Hodge—In 2018 the short screenplay of ‘Mourning Meal’ has won 5 awards, including best short screenplay at the prestigious NYC Horror Film Festival, and was featured as a finalist in 7 writing competitions including Shriekfest and Nightmares Film Festival. It has a crazy 75 percent selection rate! I’m so excited that we have such good material to weave from. AYS—What was the biggest challenge with this production? Jamal J. Hodge—So, as you know, we’ve started shooting and have completed 70 percent of the film. Right now the biggest challenge is shooting the rest of it in April, mainly for financial reasons. Making films independently is SO EXPENSIVE. We’re doing this with our blood sweat and tears and the help of supporters that want to see us win and put something different into the genre, a film that entertains, teaches, and gets us to explore our own relationship with pain and how much were letting that shape us. So far we’ve spent 12K on the film and we need about another 8K to see it through and sent to festivals around the world. Our cast is great led by Ruya Koman, our crew led by DOP Koshi Kiyokawa is a genius and we’ve joined forces with super producer Lamar Mackson and The Nonstop Show Group. So were in good shape with the talent and getting it done. Our only difficulty now is the money, unfortunately. AYS—What are your plans for Mourning Meal? What do you see for this film’s future? Jamal J. Hodge—The intention is two-fold. With the short we want to make an epic product and then send it to all the major horror, thriller, and even drama festivals around the world from NYC Horror Film Festival to Cannes Film Festival. Everywhere. God willing. The second part is that the Short is actually the first act in a feature film, so when its all done we want to take it to Universal and Blumhouse! Mourning Meal is a story I really believe in and I feel it will help people come to a revelation about the pain in their life. Hopefully start them on the path to healing. AYS—How can we help you get Mourning Meal out to everyone? Our film’s website is Mourning Meal Movie. Mourning Meal Fundraising short video from Jamal Hodge on Vimeo. I just finished reading “Stinky, Stinky Little Pig” by David Sandner in issue # 132 of Space and Time magazine. What a great story! I don’t want to give away any spoilers, but this richly written little tale presents an author we all know and love in a different light… and life. Sandner captures the mannerisms of a grumpy old writer at the end of his own story well, and the characters of the mother and her “stinky little pig” are believable. The story is well developed and the environment made real with all the detail Sandner blends in. Thank you to David Sandner for an interesting read that made me think. I love what Anthony R. Rhodes did with the illustrations—he really nailed the facial expressions and body language of a bitter old man and an ornery boy. You can read “Stinky, Stinky Little Pig” by David Sandner in issue #132 of Space and Time, available here. The next issue is due out on March 20. Suite & Sour has begun on Curious Fictions with the first chapter—”Pop Rocks.” S&S is the sequel to Bitter Suites, recently selected as a 2018 Bram Stoker Awards® Finalist. Anyone who’s been visiting this blog for awhile probably remembers that I wrote Bitter Suites on a mobile publishing platform that specializes in serial fiction. Fans of a work can subscribe and get new chapters, or episodes, as soon as they are available. I love working like this. Knowing that people are waiting on me keeps the pressure on to create high quality content on a schedule. I’ve decided to write Suite & Sour the same way, posting chapters weekly as I finish them …and now that the pressure’s on, I’m off to grab another coffee and get back to work! with more to follow each week, here. There’s another week of flash fiction from the Ladies of Horror on Nina D’Arcangela’s Spreading the Writer’s Word blog. As February—and Women in Horror Month 10—come to a close, this is fine reading for a fitting end. Click here to find out more about WiHM X. 2 for 1 mother/daughter duo!